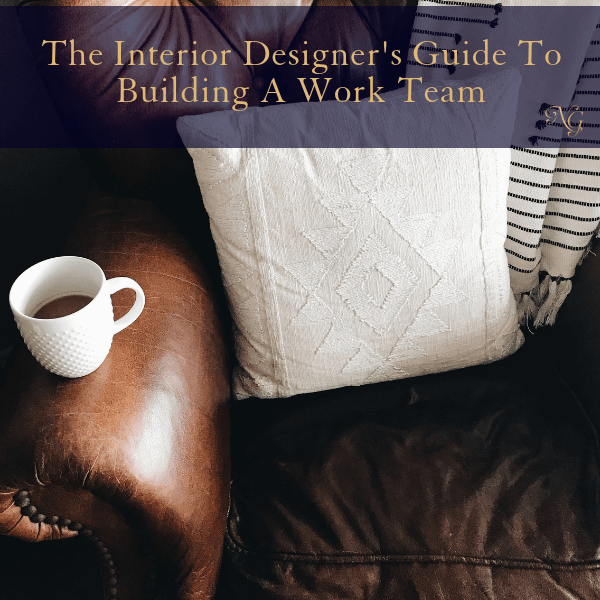 Since the time I started my art consulting business to where I am now, as an interior design business coach, I have learned that inevitably you will always need a team. In order to go to the next level and NOT burn yourself out, you’ve got to build your team! 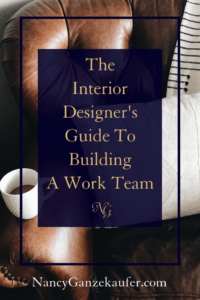 Also, before feeling overwhelmed by having to build a “WHOLE” team, don’t worry. You don’t have to hire a full team all at once. One at a time works. Perhaps you are not even in need of a full team. Maybe you just want to have a few hours a week of time that frees you up and gives you more breathing room. You really can’t do it all alone. No small business becomes a big business with a single person at the wheel. It takes a team of experts to scale your efforts. The problem is, building that team brings its own stress. How can you know who to trust? Where will you find the time to train? 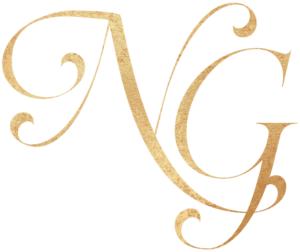 What if you can’t afford to outsource? These and other questions are what prevent entrepreneurs just like you from turning a good business idea into a 6 or even 7-figure empire. Here’s what to do about it. Not everyone works in a similar style. Some people love to touch base by phone, while others prefer email. Some people require lots of direction and step-by-step guidance, others work better when they can figure it out on their own. No way is right or wrong, but if you’re a phone person and you hire an email lover, there’s going to be conflict. Look for team members who are a fit with your preferred work style, and you’ll be much happier with the end result. Hiring a team takes time. Not only do you have to spend time looking for the right person, interviewing several candidates, and onboarding your final choice, but you also have to train your new team member. Remember, no matter how skilled he or she might be, they’ve never worked in your business, so there will be a learning curve. Encourage them to ask questions, and take the time to answer carefully. Expect mistakes—at least in the beginning—and build enough time in your schedule to allow for fixing them. The effort and time you put in upfront are well worth it when you have a team you can count on. Not everyone you hire will be a good fit. As a business owner, it’s up to you to do the right thing for your business growth (and your own stress levels) and sometimes that means moving on from a relationship that’s not working. Remember, it’s business, not personal. Sometimes even the best-looking applicant turns out to be all wrong, and that’s okay. Take what you’ve learned from the experience, and use that knowledge for the next hire. Finally, start small. While you might dream of working two hours per day and taking entire summers off, it’s unrealistic to think you can go from 12-hour days to stress-free entrepreneurship in a few short weeks. Start by hiring one person to take on the tasks you most dislike, then slowly grow your team and their responsibilities. Eventually, you’ll be left with only the work you truly want to do (and that you enjoy) and your business will run even more smoothly.